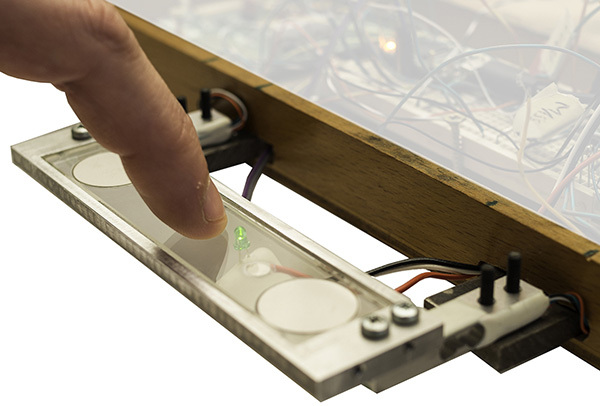 Ultrasonic friction modulation of the bare fingertip touching a glass plate has the potential of bringing haptic feedback to touchscreens. The physical underpinning of the phenomena that creates this reduction of friction has been elusive to researchers. 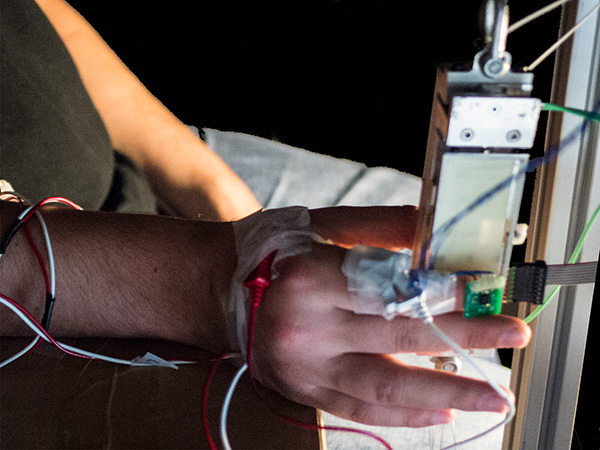 In order to draw a greater understanding of the physics at play, we developed an imaging system that is able to capture the motion of the skin with a 1µs resolution. The results from this study showed that the skin is bouncing on a air cushion. This air cushion limits the contact between the plate and the skin thus reducing the friction experienced by a bare fingertip. 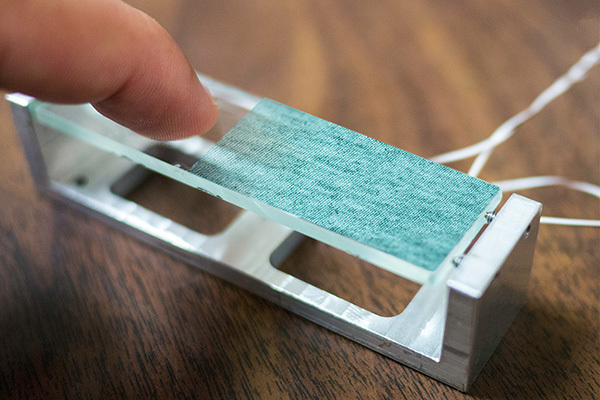 Directly modifying the friction of the bare finger sliding on glass, opens a whole new range of possible interactions that were not achievable with force feedback or vibrotactile stimulation. We explore the design space of tactile stimuli that can be produced with friction modulation to enable the production of virtual relief, texture and buttons on touchscreens. 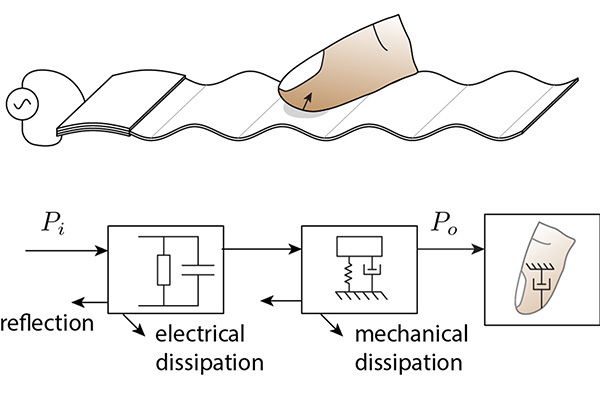 Surface haptic devices that rely on ultrasonic vibration generally use resonance of glass plate to achieve sufficient amplitude necessary to the acoustic levitation of the skin. The dimension of the plate and materials used will drastically influence the power requirement and the dynamic of the plate. 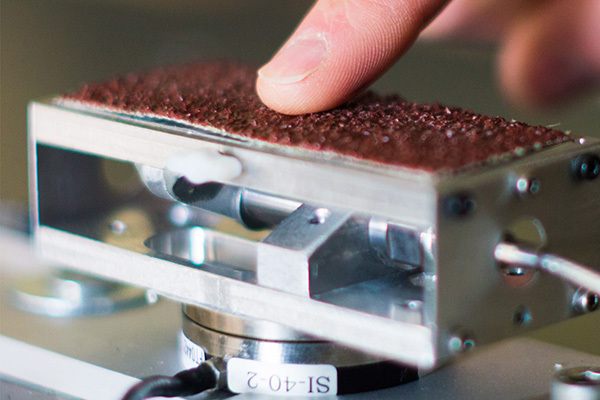 We developed a comprehensive model of ultrasonic surface haptics device that allow for complete control over the performances of these devices. If an unexpected load is applied onto an object we are holding, our nervous system will react quickly to avoid slippage and the eventual demise of the object. This project is a collaboration with Satoshi Endo and Prof. Alan Wing from the University of Birmingham and looked at the influence of vibration induced by the finger sliding onto the surface of the object on the reaction time and the force generation. 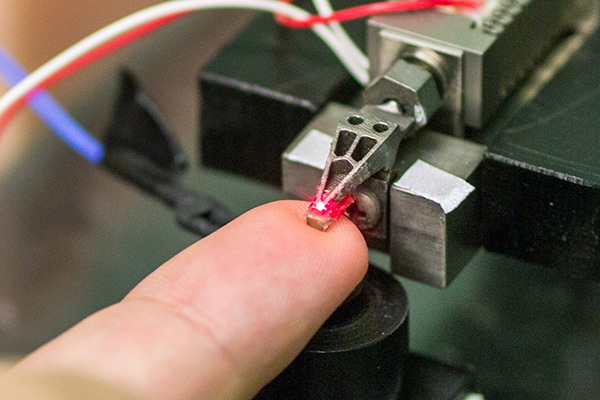 With custom-made hardware able to resolve millinewton forces fluctuation, we found that the vibrations provides information on the speed at which the object is escaping grasp. This study is a collaboration with Anne Klocker and Prof. Jean-Louis Thonnard from the Université Catholique de Louvain. We were interested to understand which physical parameters are involve in the appreciation of different textured. We recorded with unprecedented precision the interaction forces during the exploration of natural texture. We found that the acoustic signature that produces the finger when it actively scans the surface is one of the key determinants of the perceived pleasantness. Sliding our finger across is often the best way to explore a surface by touch. Doing so deforms the fingertip and this spatio-temporal deformation is at the root of our perceptual experience. 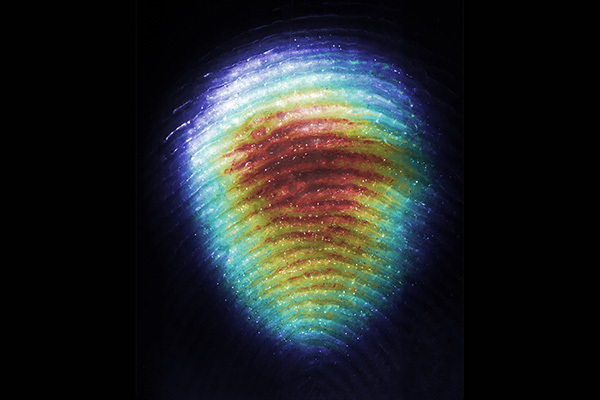 To better understand the effect of the biomechanics on the perception of tactual texture we created an experimental instrument able to finely record the mechanical impedance of the fingertip over a wide frequency bandwidth. 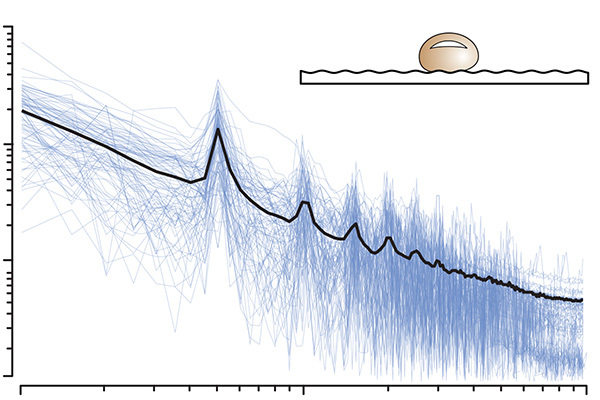 Our finding shows that the fingertips behave like spring-dashpot with a 100Hz corner frequency. Vibrations over a wide frequency spectrum mediate the perception of texture. In this project we synthesized in real-time realistic signal that is displayed to a moving finger. The combination of high precision recording of the vibration profile and high-fidelity tactile devices makes possible the display of arbitrary texture with a single vibrotactile actuator. We are actively looking to produce similar experience with surface haptic devices. When we touch a surface the interaction between our fingers and the texture of the surface creates vibrations. These vibrations are one of the key determinants of what constitutes our exquisite sensitivity to texture, and allow us to detect small defects or discriminate between similar fabrics. Using custom-made extra-sensitive instrument we were able to find invariant of the acoustic signature of a finger sliding onto a rough surface. Those findings are crucial for synthesis of virtual naturalistic stimuli.